Many people use whey protein to build muscles. Proteins are the building blocks that bodies need to increase muscle mass. There are many sources of protein: meats, nuts and legumes. However, athletes often have a difficult time acquiring all the protein they need through these sources. Weightlifters simply can only eat so many cans of beans. Many athletes look to protein supplements, such as whey protein, for additional nutrition. Proteins are the essential tools bodies need to build muscles. During any exercise, whether it is increasing cardiovascular endurance or building muscle strength, miniscule tears are made in the muscles being exercised. These tiny tears are repaired during recovery. The torn muscles use proteins to rebuild themselves, because proteins have the necessary energy in a readily usable format. A gram of protein contains more energy than a gram of fat, and it can immediately be used. Fat, on the other hand, must first be converted to another form. Little Miss Muffet is perhaps the most famous endorser of whey protein. She sat on her tuffet, “eating curds and whey.” Whey is a byproduct of making cheese; it is also found in yogurt. When cheese is made, the whey is separated from the curd. Sometimes when a container of yogurt is opened, there is a clear or slightly yellow liquid sitting atop the yogurt. That is whey. It is edible, and very nutritious. The nutritional benefits of whey are also available in supplemental forms. It can commonly found in powders, drinks and nutrition bars. These forms of whey protein are healthier than others. Cheese and yogurt often contain fat, along with whey protein. In supplemental forms, this fat has been eliminated. Powders, drinks and bars are convenient, healthy ways to consume whey. Protein should be eaten throughout the day. During the day, bodies do not rest. Cells constantly have functions they must perform. When they cannot fulfill their role, people become fatigued. The most common reason for this is a lack of energy, literally. When a body suffers from fatigue, its cells do not have enough calories, which are a measure of energy, at that moment. Protein is an important source of calories. Generally, people regard calories as evil things, counting each one. Calories affect health, but calories from protein are some of the healthiest there are. Some calories are needed to function, and protein is a good source for them. While protein is needed throughout the day, there are times when it is more helpful for building lean muscles than others. After a workout, a body is trying to rebuild those small tears in its muscles. This requires protein, and whey protein from powders, bars or drinks is ideal. According to the medical community, athletes should take in 0.7 grams of protein per pound each day. According to this ratio, a 200 pound man should have 140 grams of protein each day. A 150 pound person should consume 105 grams and a 100 lady should eat 70 grams every day. These numbers ought to constitute an athlete’s entire protein consumption. Whey protein ought to be a significant percentage of those numbers. The amount consumed immediately after a workout can vary with the intensity of the workout. Some athletes have as much as 50 grams of whey protein a day. For a 200 pound person, this would constitute a third of his protein. Protein is an essential component of a healthy diet and a muscle building regimen. A balanced diet will include protein from a variety of sources, and it will have some with every meal. To build lean muscles, athletes ought to supplement this regular protein intake with whey protein immediately after a workout or competition. When taken after exercising, whey protein decreases recover time and builds lean muscles. 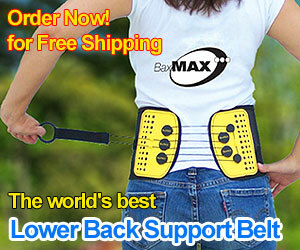 Get exercise equipment you need to build those muscles over at the BHI Store. Author Bio: Jason Shiers writes for Iron Science, a manufacturer of quality nutritional supplements such as whey protein isolate and creatine monohydrate.